AECm designed a new campus-wide controls and monitoring system into the Regional Operations Command (ROC) center at the Portsmouth Naval Shipyard (PNSY). 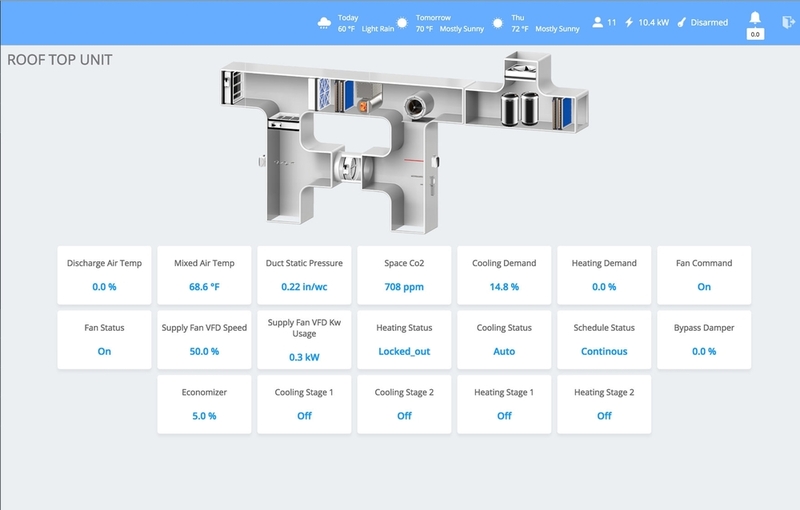 Our design includes the integration of existing and new HVAC control systems onto a new wireless networked Industrial Control System (ICS) for remote control, monitoring, energy trending, and systems optimization from the high-security ROC center. The ICS will support NAVFAC initiatives to reduce energy consumption in accordance with EISA 2007 requirements. AECm’s ICS system networks over 60 buildings throughout the shipyard integrating existing and new Direct Digital Control (DDC) systems, existing supervisory controls and data acquisition (SCADA), and advanced metering systems (AMI) for electricity, water, sanitary, and steam. Based on the Niagara Tridium platform, this ICS system was designed to establish a standard for energy control systems at all NAVFAC MIDLANT facilities. In addition, AECm designed a new Graphical User Interface (GUI) and permanently staffed monitoring station.